Update: Subway has issued a statement in response to the Marketplace report refuting its claims. The chain retained two independent laboratories to test the disputed product in Canada and the United States; the results of Subway's test found soy protein below 10 ppm—less than 1 percent—in all test samples. Subway has sent these results to Marketplace. 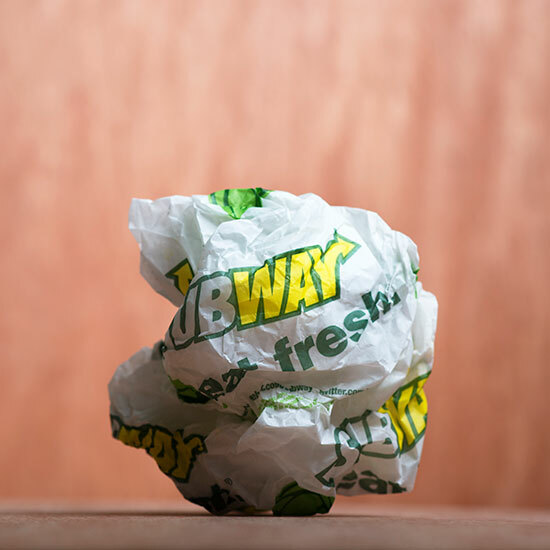 "The stunningly flawed test by Marketplace is a tremendous disservice to our customers," said Subway President and CEO Suzanne Greco. "The safety, quality and integrity of our food is the foundation of our business. That's why we took extra caution to test and retest the chicken. Our customers can have confidence in our food. The allegation that our chicken is only 50 percent chicken is 100 percent wrong." Read our follow-up story on Subway chicken here. An investigation from CBC Marketplace reveals that international sandwich chain Subway may need to revise its slogan of "eat fresh" to "eat mystery." After conducting a DNA analysis of two poultry-based menu offerings (the oven-roasted chicken sandwich and sweet onion chicken teriyaki strips), results revealed that the chicken was found to only contain about half chicken DNA. In contrast, four other chicken orders from restaurants like McDonald's and Wendy's all scored "very close" to 100 percent (with spices and seasonings making up for the difference). According to the CBC, "Subway's results were such an outlier that the team decided to test them again, biopsying five new oven roasted chicken pieces, and five new orders of chicken strips." The results were averaged, with the oven-roasted chicken coming in at 53.6 percent chicken and teriyaki strips scoring a mere 42.8 percent chicken. The culprit, according to the lab? Soy, which results showed made up the majority of the non-chicken DNA. A statement Subway sent to the CBC promised to look into the results, but won't confirm their accuracy. The company said of the lab testing: "Our chicken strips and oven roasted chicken contain 1% or less of soy protein. We use this ingredient in these products as a means to help stabilize the texture and moisture. All of our chicken items are made from 100% white meat chicken, which is marinated, oven roasted and grilled. We tested our chicken products recently for nutritional and quality attributes and found it met our food quality standards. We will look into this again with our supplier to ensure that the chicken is meeting the high standard we set for all of our menu items and ingredients." Needless to say, we may need to start re-evaluating our inexpensive lunch options.